If you don’t already know, I absolutely love camping. So much so I lived in a campsite for 5 months in Byron Bay, and then road tripped around the entirety of Australia for a further 8 months. Along the way, I picked up some crucial camping know how, developed an absolute passion for living outdoors and formed a list of some unique gifts for campers that I wish I’d had before I set out! 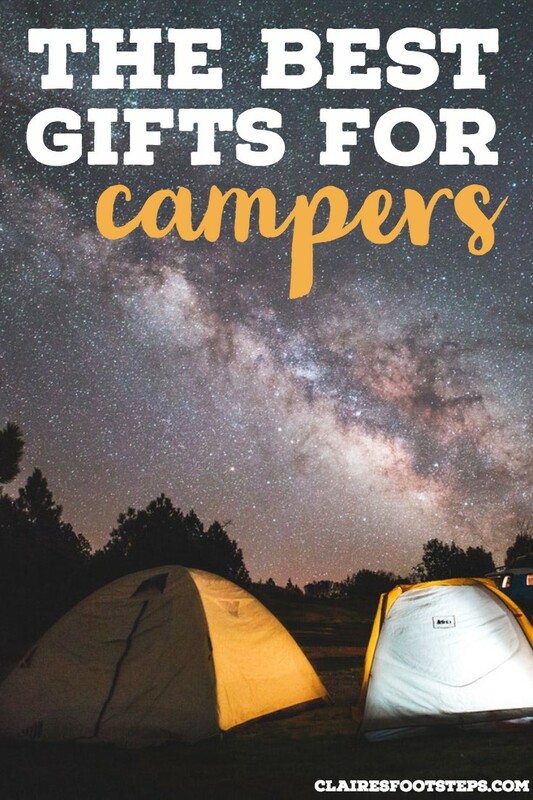 So if you’re looking to buy some gifts for someone heading out on a camping trip, whether it be to the USA, the land down under, rainy Britain or anywhere else in the world, check out this nifty list for some great ideas! In case you forgot what camping actually entails – or if you just enjoy a pun – this t shirt is perfect for the avid camper who’s a fan of dad jokes (definitely me). Click here to purchase. Perfect for kids who love camping (all of the jokes are clean!) this book is one to take camping to enjoy of an evening. It’s packed with different jokes and riddles – over 140 pages, to be exact – and is fun for people of all ages. Click here to purchase. A great one for the weekend camper who likes a beverage as well, this hoodie will keep campers warm in the chilly evenings, while being a constant reminder of two passions of theirs! Click here to buy it today! I couldn’t resist… this is a funny gift for campers, old and new. 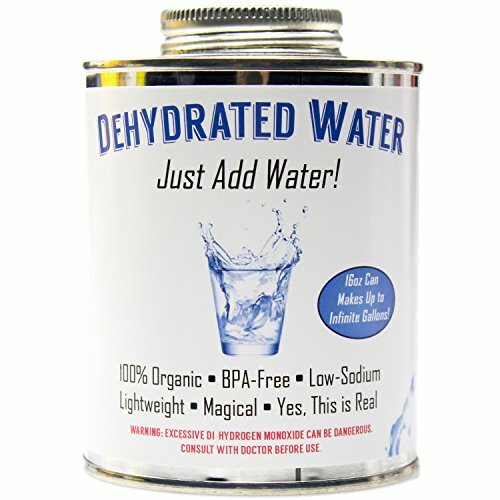 It’s dehydrated water – just add water to use it. It could be a funny present for father’s day or a novelty Christmas gift! This “I don’t need therapy, I just need to go camping” mug boasts a statement that I most definitely agree with. 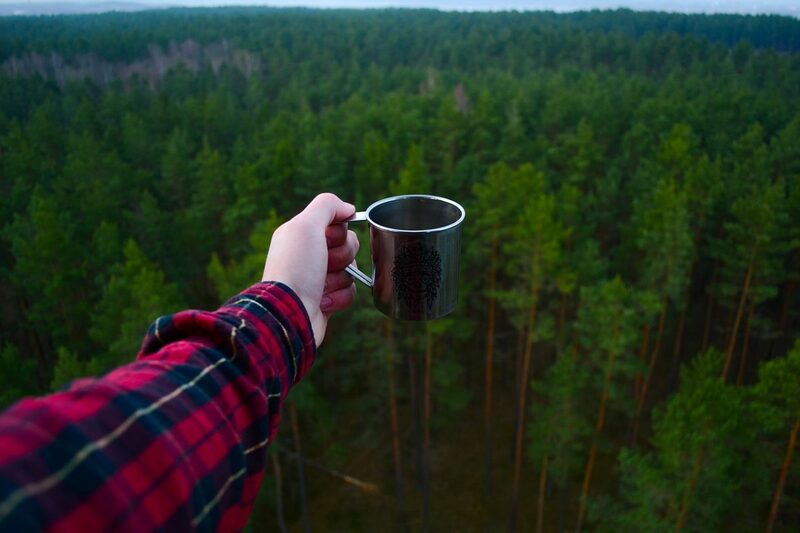 Waking up in nature does amazing things to your psyche and is an instant mood lifter. Can I go back to living in a tent already? Click here to purchase one today. 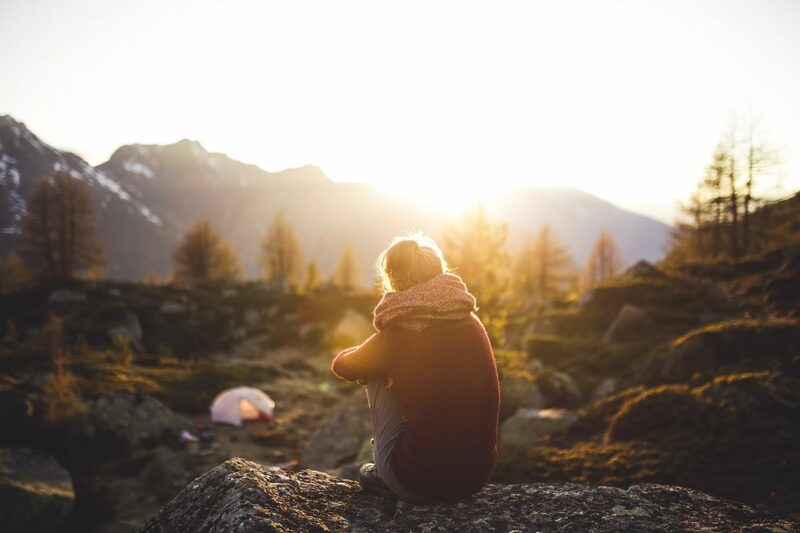 Have you ever wondered exactly why people camp, and sought a full list of the benefits of camping? This book will detail just that for you as it describes how America fell in love with camping! 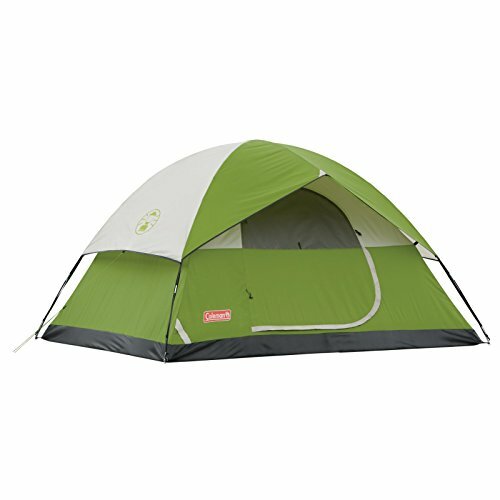 It’s perfect for keen campers to read in their tents of an evening, or while at home planning their next adventures! Click here to purchase. 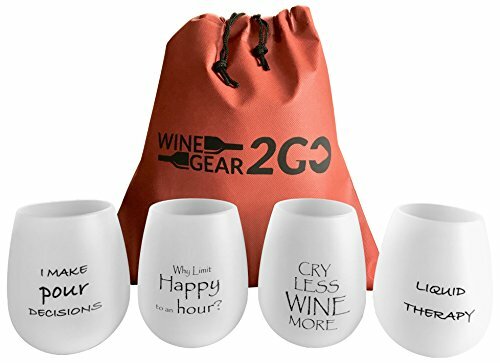 If you’re going to be having a nightly tipple while camping, check out these unbreakable wine glasses for the ultimate accessory. My favourite one is ‘I make pour decisions’.Click here to purchase. A quaint little wind chime is perfect for anyone with a van or RV – or for keen campers to keep at home for the days that they can’t escape to the forest! There are a few dangling emblems and a figure of a moose at the bottom stating ‘it’s all good in the woods’. I concur. Click here to purchase. Every avid camper’s been there… sometimes, you’ve gotta do what you’ve gotta do and there’s just no toilets around. Shitting in the woods might seem like a simple matter, but as Cathy Bayerne makes clear, there’s more than meets the eye on this matter! (Especially if you’re in the Aussie outback and are convinced that there’s snakes everywhere, but I’ll leave the rest to your imagination!) Click here to purchase. 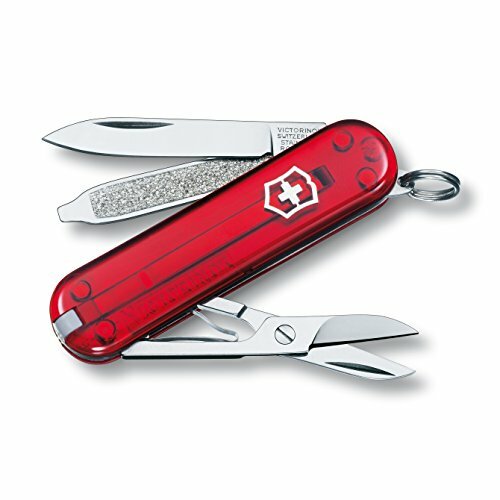 What’s the number one thing that you might want as a present for campers? A tent! 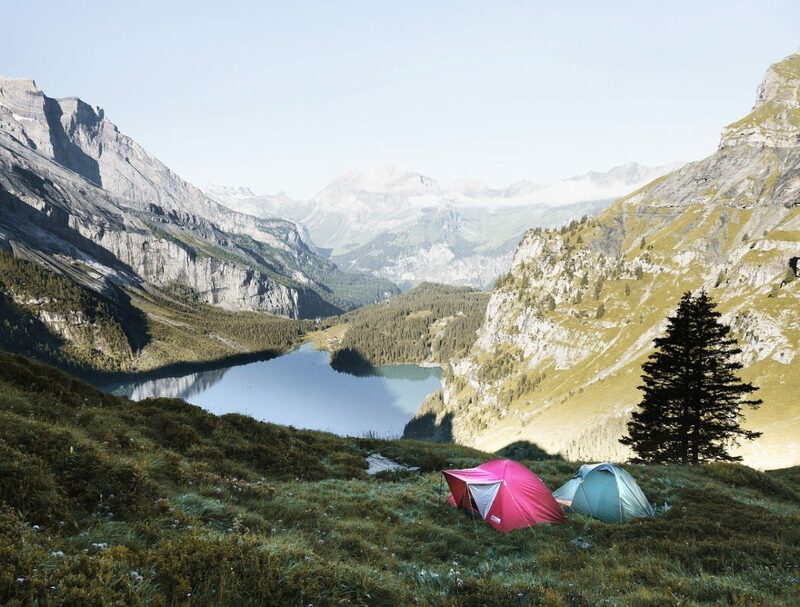 A high-quality tent is a perfect gift for campers anywhere in the world. Trust me, I know – I travelled around Australia in a tent with a broken zip and a hole in for months on end. Probably not the best idea when you’re in a country with over 170 snake species… Click here to purchase a high quality tent that won’t let ya down. Another alternative for sleeping in the wild is a hammock. They’re even great if you’ve got other sleeping arrangements – lounging back in a hammock is so relaxing! It’s not a camping essential, so many keen campers won’t invest in it right away but they’ll love it as a present. Click here to purchase a hammock. A perfect essential, especially if someone is camping where it is a bit colder, is a high quality sleeping bag. It’s possible to purchase one for lots of different climates, including specialist ones that go down to -10 degrees! Click here to purchase a summer sleeping bag and here for a cold weather sleeping bag. 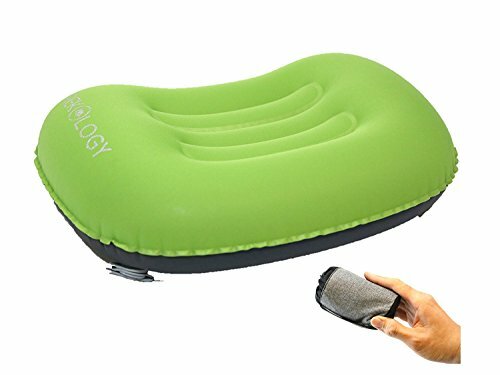 A self-inflatable camping pillow is one of the best gift ideas for campers, as it decompresses down into a camping bag easily. They’re still comfy and a high-quality pillow will help campers wake up refreshed. Click here to purchase one. Similarly, a self-inflating or blog up mattress is great for those who want to stretch out and have a comfy sleep. Click here to buy one. Ask any camper, and they’ll tell you that there’s nothing better than a cuppa round the fire of an evening or a coffee in the morning. It’s important when camping to stay hydrated, especially if you’re twinning camping with hiking. Taking a huge drinking bottle means campers can fill up when necessary and drink on the go. Click here to purchase. A solar powered charger is great for campers who enjoy long daylight hours. It’s possible to charge the panel just by leaving it in the sun and then plug it into your device to keep the battery full up! Click here to purchase. 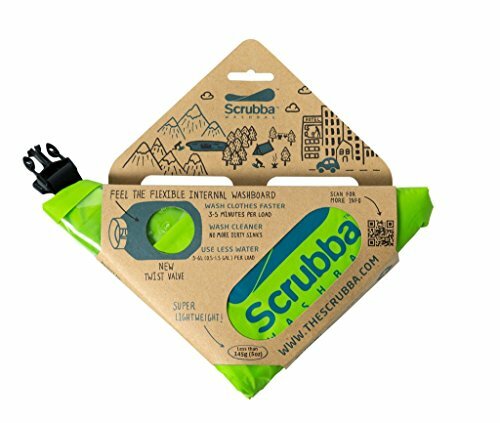 The scrubba laundry system is ideal for people who need to wash on the go. All campers will need is a little soap or detergent, water and the bag to wash clothes on the go. It’s a great way to clean any garments that have got a bit dirty or have a musky camp smell! It’s something that not many people will think to purchase, but getting one as a camping gift will make their life so much easier! Click here to buy one. Penknives are pretty essential for camping. Whether you’re after a knife, scissors, a corkscrew or a bottle opener, these gadgets are so fabulous that they can act as all of these at once! . 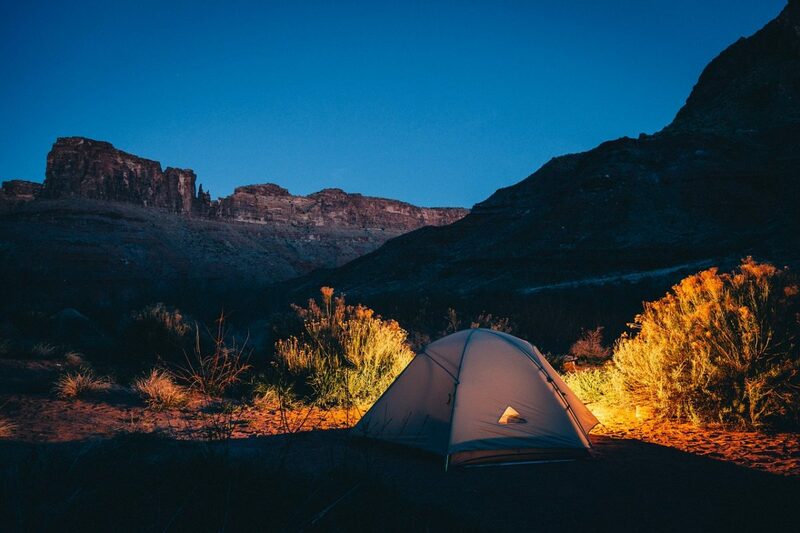 When campers are getting up in the night, use of a head torch will ensure that they don’t accidentally come face to face with any wild animals! It’s also great for reading in the evenings and for organizing camping spaces etc. Click here to purchase a head torch.